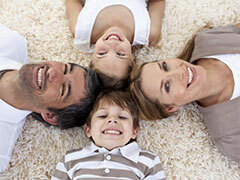 Professional Carpet Systems of Connecticut rejuvenates, repairs, & restores all types of carpeting and floor coverings. We also work wonders on sofas, chairs, loveseats and other upholstered items, as well as hardwood floors and tile and grout. We proudly serve homeowners, businesses, property management companies & insurance carriers throughout the State of Connecticut. Our many happy clients understand why Professional Carpet Systems is the Best in Connecticut and return year after year to experience our high level of service. You can to. Call us today - We Promise that you'll be glad you did. Our carpet cleaning system will improve the appearance of your carpet, extend your carpet's life, improve indoor air quality and remove stains that other cleaners can't get out. 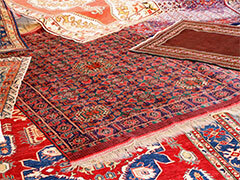 Your treasured Oriental rugs and loose woven rugs deserve the best. PCS will pick up your rug and bring it to our special cleaning plant for the best 9-step cleaning system available. Your furniture is a large investment and our superior upholstery cleaning services can restore your furniture to its original condition after just one visit. Our revolutionary wood refinishing system eliminates mess, and saves you time and money. Whatever your flooring needs, we look forward to serving you. Our carpet repair experts can do everything from seam repair to re-stretching carpet. You don't have to spend hundreds of dollars to have that new carpet look. 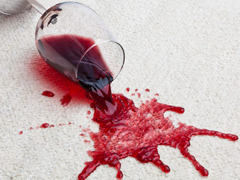 Our professionals know how to lift tough and stubborn spots and stains without harming your delicate carpet. We will have your carpets looking and feeling fresh! At Professional Restoration Systems of Connecticut, we are committed to providing a rapid and well-organized response to your emergency situation. Whether you have experienced a fire, or have water damage or mold growth, we are available 24 hours a day, 7 days a week. We promise to deliver only the highest level of professionalism, integrity, and honesty for each and every customer, big or small. We have more than 20 years of industry experience, and are certified by the IICRC (Institute of Inspection Cleaning and Restoration Certification). We are dedicated to receiving ongoing training so we can delivery only the best for our customers. Read more about our property restoration services below. Professional Restoration Systems responds immediately with state-of-the-art equipment and professionals to minimize damage caused by your water damage emergency. 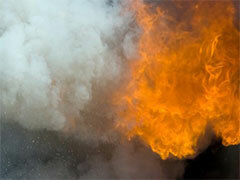 Fire and smoke damage can be devastating for your home or business. 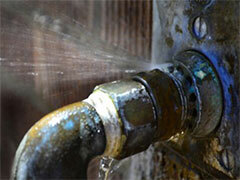 We provide professional restoration that ultimately saves you time and money while providing peace of mind. Sewage waste should be handled with the highest priority. 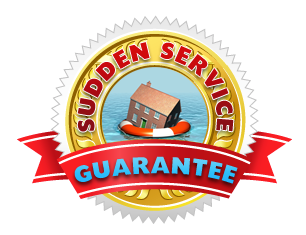 With our immediate emergency response you can rest assured that your property and your family are in good hands. Our mold removal specialists know how to safely deal with your mold problems so that the health of you and your family is not put at further risk. 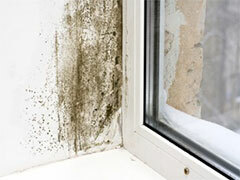 We use only the best practices in mold removal. If we are unable to answer your call live, we will return your call within 5 minutes of your message. 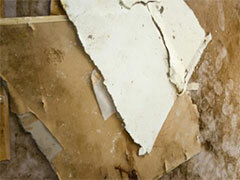 We will have a Restoration Specialist on site with 90 minutes in New Haven and Fairfield County. Within the first 8-hours of our arrival we will give you or your adjuster a full verbal plan of attack and scope. Comments: I am impressed with your entire organization. Sarah was very professional and Dean was a miracle worker! Amy & Curtis are always great to work with. No wonder they are successful! Comments: One of the best experiences I’ve had with a company working in my home. The two best words to describe my experience is professional and courteous. The carpets looked outstanding upon completion. I was impressed with the consideration given to my home, woodwork was protected with tape and the gentleman that cleaned out carpet took pride in his work. Al did a wonderful job and my husband and I were very happy with his work. The results were impressive. My home feels so clean. The carpet on the stairs had some stains and now they look amazing. It makes me realize how much dust settles on the carpet and even with a regular vacuuming, how much healthier it is to have the carpets cleaned especially since I suffer from seasonal allergies. Comments: PCS was very professional. They called to confirm as well as sent a written confirmation of the appointment. The technician phoned when he was on his way and used shoe covers each time he entered the house. He arrived promptly and completed the job in a short time. PCS was able to remove a pet stain that we were sure would never come out. The technician was extremely tolerant of our dog who, in his playful way, stole the paperwork out of the technician’s hand! Comments: Professional Carpet Systems were very professional. I appreciated the calls to confirm my appointment several days before and the night before. I was happy that I could get all 3 things I needed done to the carpet from one source. I had my carpet re-stretched, spot dyed and cleaned all from PCS. Comments: Al was very thoughtful with his cleaning and putting blocks under the furniture. He had an excellent attitude with helping move furniture and he went above and beyond to answer all of my questions. All of the pet stains and fur were removed from my carpet. Great Job! Comments: Your customer service is excellent. You have an incredibly professional, nice team. Over the phone and in person. You are the A-TEAM! I thought the carpet in my new home would need to be replaced, however, Professional Carpet Systems made it like new. Also, my oriental rug is brighter and smells cleaner/better than when I purchased it from a reputable local dealer. THANK YOU! Comments: We were very grateful to talk to someone knowledgeable of our problem. (skunk odor). Amy was very helpful in accomodating our immediate need in scheduling someone to come out the very next day. This was even more amazing because I called late one evening and they came the very next day. PCS has very courteous servicemen and are very complete in the service requested. We now have an odor-free home! It is truly amazing. Comments: Professional Carpet Systems did a beautiful job on my carpets. They are clean and as full as the day I purchased them. Carpets have an extreme clean sent. Dean was very friendly and courteous. He performed an excellent job. He promptly arrived and started the job. The job was quickly performed with great results. Comments: Your people do a great job, are very professional and knowledgeable. They are prompt and courteous. We had a dog and had urine stains in the living room. Other companies had tried to get out the stains but your company was the only one that worked. My living room looks brand new and I was amazed how the final raking made the carpet look incredible. Could you please let me know if I can buy one of those rakes from you and how much it would cost? Comments: From the time Amy arrived to provide an estimate through the time that Curtis stretched the carpet and Al did the cleaning, every step in the process was professional, pleasant and punctual. Amy explained that some of the furniture indentations might not completely come back up – but she was wrong. After 6 years of indentations EVERY spot bounced back up. It was AMAZING!! Curtis also did such a fabulous job of re-stretching the carpet, it looks better now than when it was first installed. Comments: Thank you so much for a job well done on my car. I didn’t think it could be saved. What an amazing job of mold removal.